Ocean Life Education is encouraging local households, businesses and schools to accept the Plastic Free July Challenge. The challenge is quiet simple: attempt to consume no single-use plastic during July. Single-use plastic is anything that is intended to be used once then thrown away. If all single-use plastic sounds a bit daunting, just try the “big four” single-use plastic items are plastic bags, plastic cups, plastic straws and plastic containers. 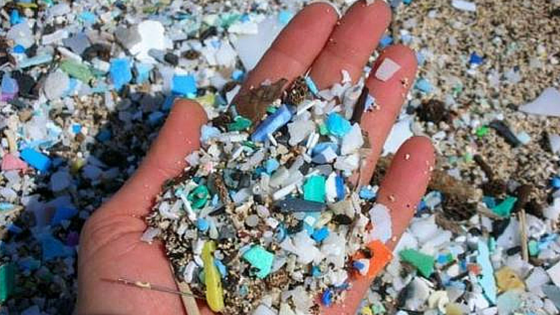 Read more about the problem with plastics in our oceans. Plastic free July is a fun challenge that gets us thinking about the amount of plastic packaging in our lives. Australians send 1 million tonnes of plastic to landfill each year. And too much plastic ends up as litter. Chemicals in plastics can have harmful effects on our health. You’re not alone! Join the PFJ network and join us at events, workshops and online discussion forums. Attempt to consume no single-use plastic during July. Collect any plastic packaging you do buy. Keep it in a ‘dilemma bag’. Choose your challenge and Register! People can register for the challenge; and share their experiences, ideas and tips at www.plasticfreejuly.org. 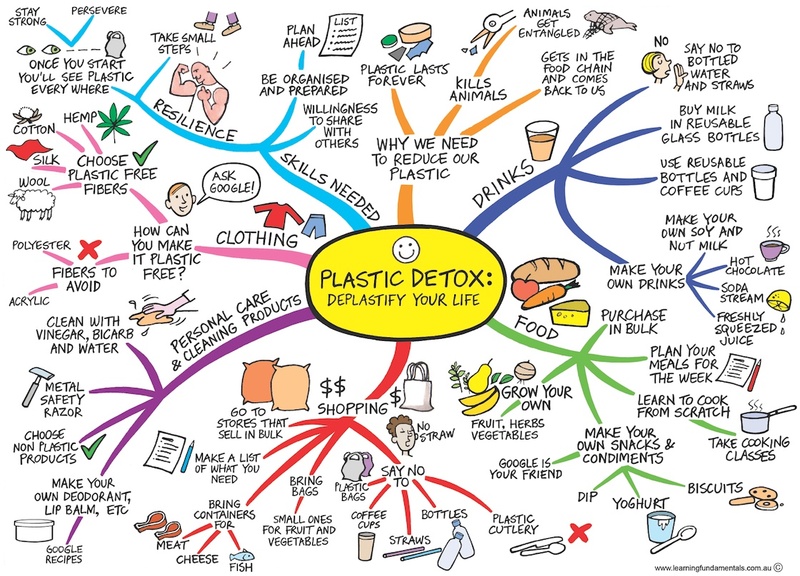 Use this plastic detox mind map for ideas on how to deplastify your life! Plastic Free July started as a local initiative in Perth, Western Australia and has grown into a global initiative. If you’re interested in this topic and would like us to host a workshop for your students or early learners, check out our programs. This entry was posted in Get involved and tagged environment, ocean, plastic, plastic free july on June 30, 2016 by oceanlifeeducation. 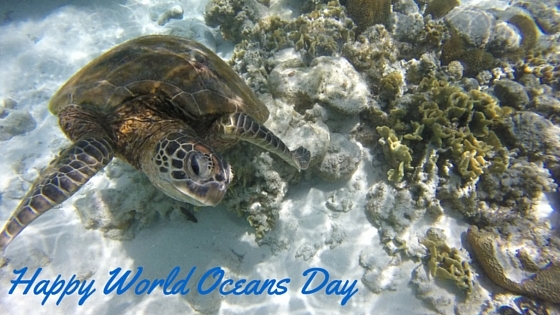 This year, 8 June marks World Oceans Day – a global day for celebrating our oceans which make up 70 per cent of the Earth’s surface and are home to a vast array of complex ecosystems. This year’s World Oceans Day theme is “Healthy Oceans, Healthy Planet” and individuals across the planet are taking action for prevention of plastic pollution in our ocean. Plastic pollution is a serious threat to both our oceans and our future. Plastic degrades very slowly, polluting waterways for a very long time with some plastics never being recovered because they eventually brake down into micro plastics. Once plastic starts to break down into tiny pieces, it then impacts the health of our aquatic animals as they mistake microbeads for food and so begins its cycle through the food chain – you and I not excluded. For these reasons, plastic pollution is an important message that we aim to deliver in most of our programs – including the Ocean Life Discovery for early learners and in particular, the Human Impact: The Earth Under Threat program for schools and vacation care students. At Ocean Life Education, we celebrate our oceans and the animals that live within them every day. 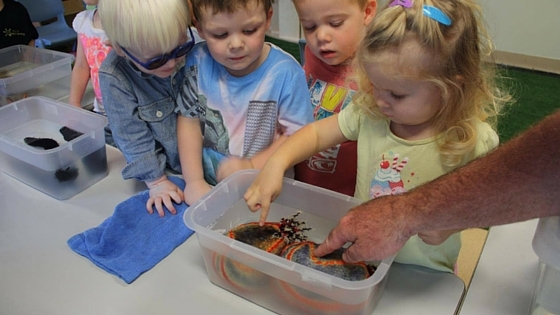 We love taking our ocean creatures to visit young children and school students to learn about the amazing creatures that live in our oceans and waterways and why it’s important to protect those environments. Think about what you put down your sink – it all ends up somewhere! Start using Earth-friendly or natural products in your home. Educate your children. Talk about the ocean, the animals that live and depend on it. Take them to the beach, your local river or go snorkelling. Share the wonder and inspire them to learn more. Want us to come and deliver a fun and educational workshop at your centre or school? Contact us today! This entry was posted in Events on June 9, 2016 by oceanlifeeducation.